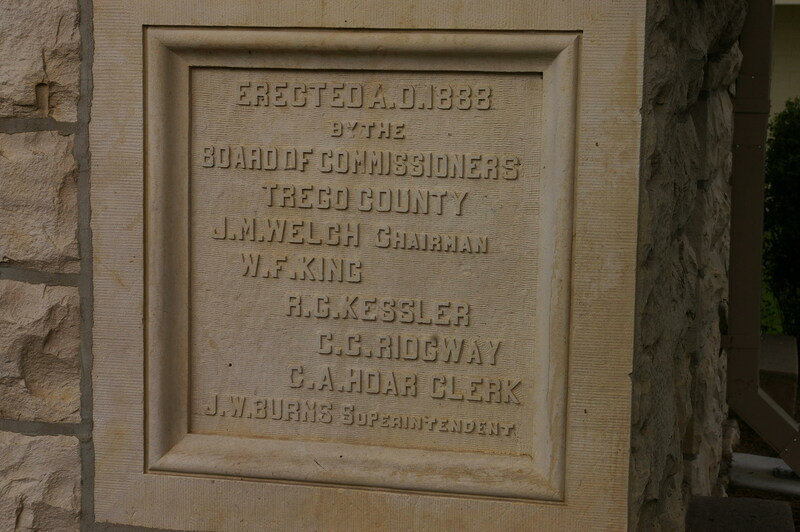 Trego County is named for Edgar P Trego, who was captain of company H, 8th Kansas infantry, who was killed in action at Chicamauga, Georgia on September 19, 1863. 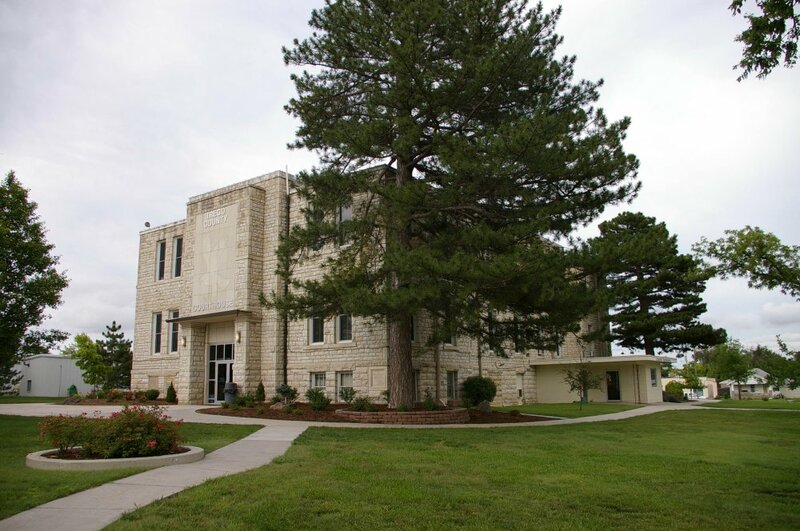 Description: The building faces west and is a two story course stone structure. The west front has a projecting center section with recessed entrance on the first story. 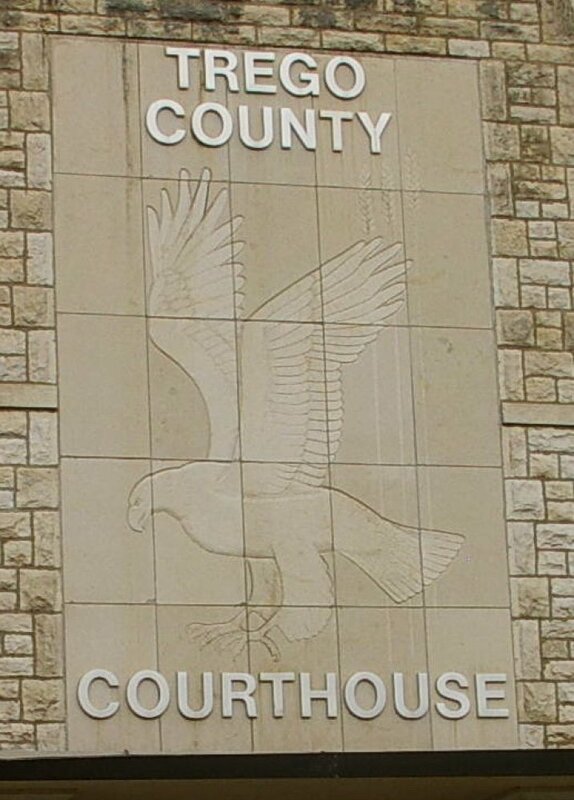 Above the entrance is the outline of an eagle on the stone surface. The roof line is flat. The building was remodeled in 1951 and 1952 when original roof and clock tower were removed. 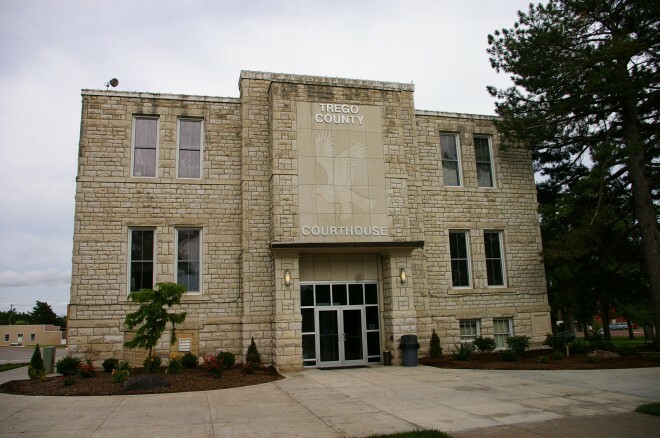 The architect was Wilson & Company and the contractor was Val Borden Construction Company of Salina. In 1967 the exterior was sandblasted and sealed. The contractor was Masonary Restoration of Nebraska. Note: The cost of construction of the courthouse was $26,994.